A prophetic raccoon from a Tula zoo is set to become an unlikely star of the London Olympic Games beginning Friday, predicting the outcomes of major events from the safety of her enclosure. 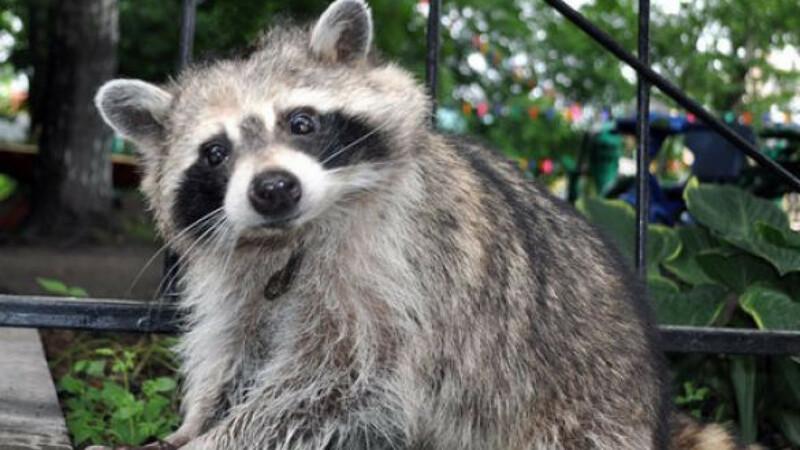 According to her handlers, Gemma the Raccoon will release regular Twitter updates over the course of this year's Olympics, which run till Aug. 12, offering handy tips for punters and interested spectators alike. Tatyana Rodchenko, a spokeswoman for the Tula zoo, told Interfax that the move to Twitter was the result of the high stress levels Gemma had suffered during the Euro 2012 football championships, when she made her predictions live. Gemma, who correctly guessed that Spain and Italy would play in the Euro 2012 final in Ukraine on July 1, already has a live feed on the social-networking site, although she is yet to publish any predictions. Gemma would not be the first animal to grab the public's attention with an uncanny knack for guessing sports results. Paul the Octopus' feeding behavior was used to correctly predict the results of all of Germany's seven matches in the 2010 football World Cup, while a psychic pig fulfilled the same role at the recent European championships. Gemma was given to the Tula zoo in 2000 and began predicting sports results with the help of handlers in 2006, Interfax reported. She lives in the zoo's exotic animals department along with monkeys, iguanas, crocodiles and snakes, according to the zoo's website.